Greetings again from the darkness. Somewhat surprisingly, mathematics has been the basis for some pretty interesting movies, including Good Will Hunting and A Beautiful Mind. Equally surprising are the quality movies with lead characters struggling with Asperger Syndrome or Autism – Adam and Rain Man, to name a couple. Also fascinating, albeit in a different way, are movies that have depicted child prodigies or geniuses. Examples of these are Little Man Tate, Searching for Bobby Fischer, and Akeelah and the Bee. However, it’s this film from director Morgan Matthews that is the first I can recall to combine all three elements. Mr. Matthews’ directorial resume is filled with documentaries and he brings that no-nonsense approach to this story based on the life of David Lightwing, a young math genius with Asbergers. 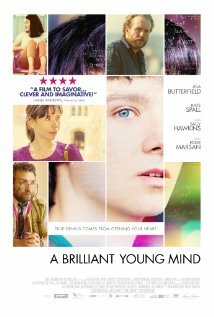 Asa Butterfield plays Nathan, a boy whose only love is mathematics. 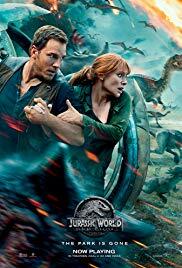 He lost his beloved father at an early age, and has since not connected with anyone … even his most devoted and long-suffering mother, played by Sally Hawkins. Nathan begins studying under Rafe Spall’s Martin, himself a former child math prodigy, whose struggles with Multiple Sclerosis act as a defense mechanism that prevents him from having any semblance of a well-rounded life. The two are a perfect match, and within a few years, Nathan is competing to join the prestigious International Mathematics Olympiad held at Cambridge. Martin has his own personal history with both the event and the team’s coach, played by Eddie Marsan. 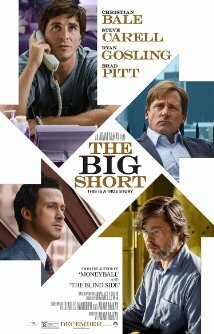 The film does a really nice job of illuminating the pressures on both loved ones (parents, teachers, etc) and the prodigies themselves. It explores the question of whether being “gifted” is really a gift or a burden. This is brought to life through the performances of Butterfield (and his many pained faces), Spall (as a man searching for meaning), and Hawkins (as a mother who yearns for nothing but a flash of reciprocity from her son). Also effective is Marsan as the coach, and Jo Yang as Nathan’s Chinese study buddy. It’s a very touching story, and easily accessible for those of us who fall a bit short of the genius level. It also takes a shot at explaining love in math terms – not something previously featured on screen. And finally, it has one of the most heart-warming and sincere movie hugs one could ask for. In simple terms, it all adds up to a fine movie.